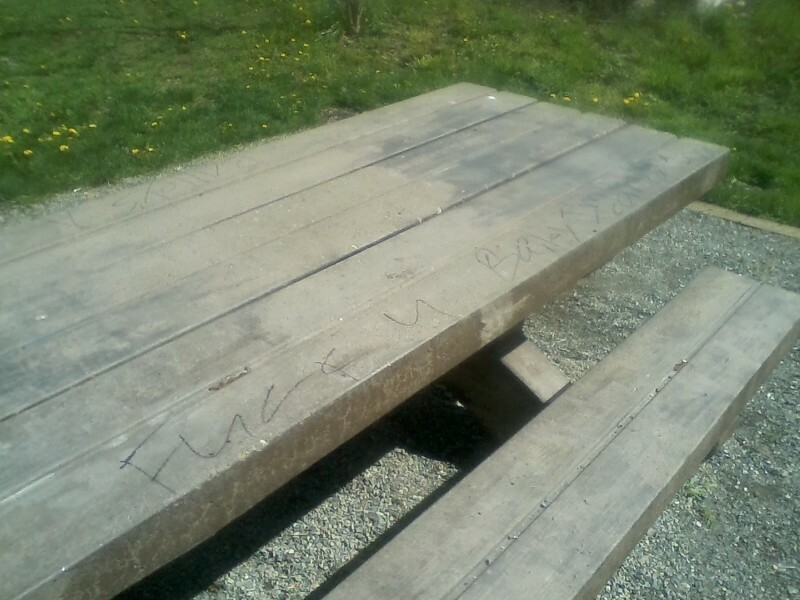 Foul language written in sharpie on picnic table by the pond in Jenkins Creek Park. No traffic management on SE 251St St. School desperately needs traffic cop or staff to keep traffic moving. Thank you for contacting the city in regards to the Mattson Middle School traffic on SE 251st Street. I have contacted the Director of Transportation for the Kent School District. I will work with Justin to see if there are opportunities to make things operate more cleanly, clearly, and efficiently. I had the opportunity to meet with the Mattson Middle School principal, James Schiechl, and the Kent School District Director of Transportation, Justin Dennison yesterday from ~2:50pm to ~3:20pm. As we observed the release, I thought the circulation plan worked quite well. The westernmost parking lot queues seven or eight buses at 45 degree angles. I liked this as it used the parking lot efficiently and removed the need for buses to back up. It allowed the buses to be loaded efficiently while not forcing children to walk across the parking lot, walk in front of vehicles, nor be hidden behind buses. The easternmost parking lot was dedicated to teacher parking. It also allowed for the drop off and pick up of special education students. I believe isolating this operation was important for accessibility, safety, and delay. The middle parking section was dedicated to two lanes of queuing for parent pick up and drop off. Around 3:07pm these queues became full and started backing on to SE 251st Street. Vehicles for both westbound and eastbound were stopped with queues of 3 to 4 cars each. The school bell went off at 3:10pm and the mainline queues were gone by 3:15pm. The buses were gone by 3:20pm and the parent pick up queue was gone as well. All things said, I was very impressed how quickly that many people dispersed. It was coordinated, efficient, and relatively safe. The circulation separates different uses and users. Everything appeared predictable and the window of delay was small and acceptable. 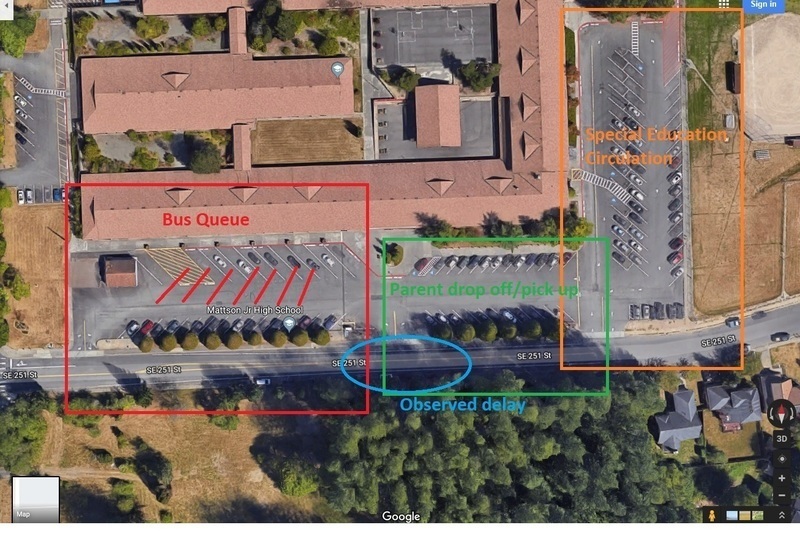 My first analysis questioned if parent drop off and pick up type could queue into the westernmost parking lot, but quickly realized that this would require more traffic control, be less predictable, and combine user types, while creating more vehicle and pedestrian conflicts. The City doesn't wish to make changes, or require the school to make changes at this time. The delay appears predictably between 3:05pm and 3:15pm every day with the exception of Wednesday, which will be delay between 1:05pm and 1:15pm. We would encourage the neighbors of Emerald Downs to use the signalized facility to the south on 168th Place SE. 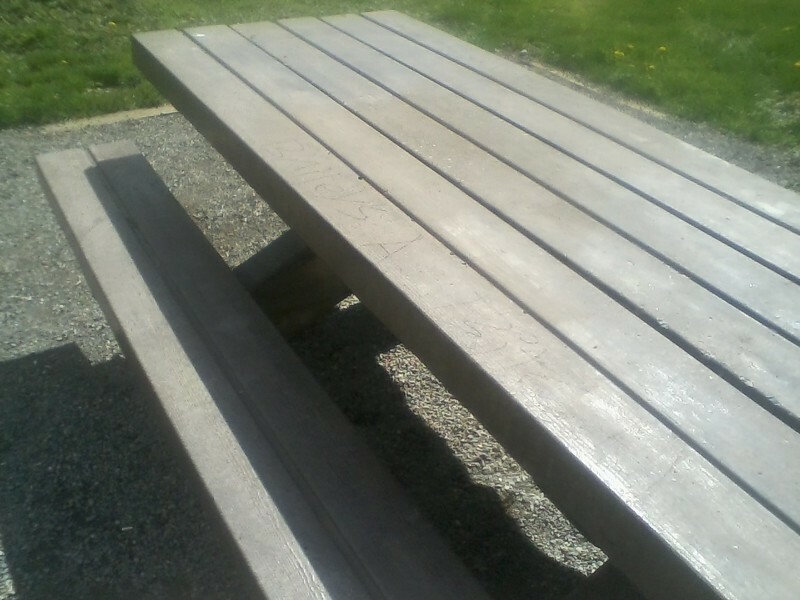 If green time is ever an issue at 164th Avenue SE and SE 251st Street, we can always add more. Please contact me if that becomes desired.